Today I have the Nails inc Flock You Nail Polish Duo and I was excited to swatch it because it looked so pretty when I first saw it online. 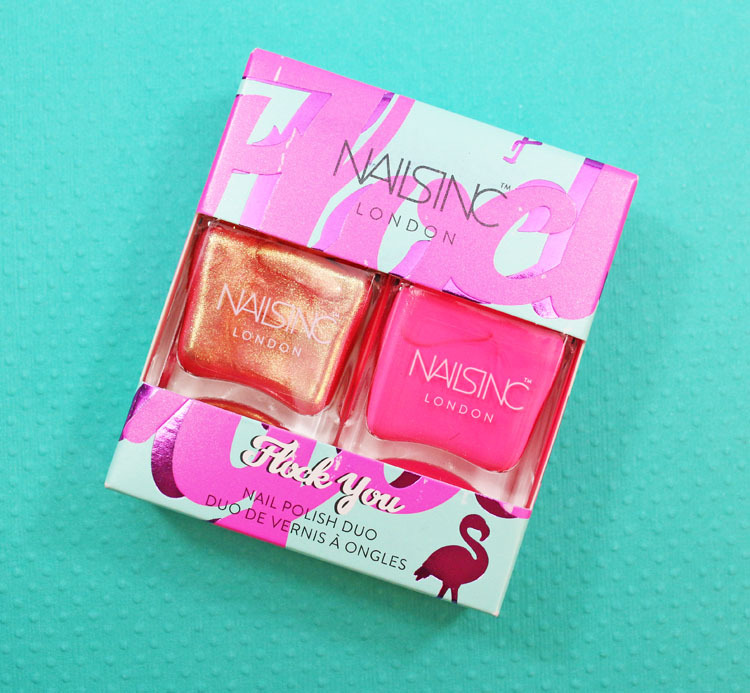 The Nails inc Flock You Nail Polish Duo consists of two fabulous bright summery nail shades. One is a neon creme and the other is a shimmery duochrome. Both of these had a really great formula and only required two coats. Glamingo is a neon flamingo pink creme. 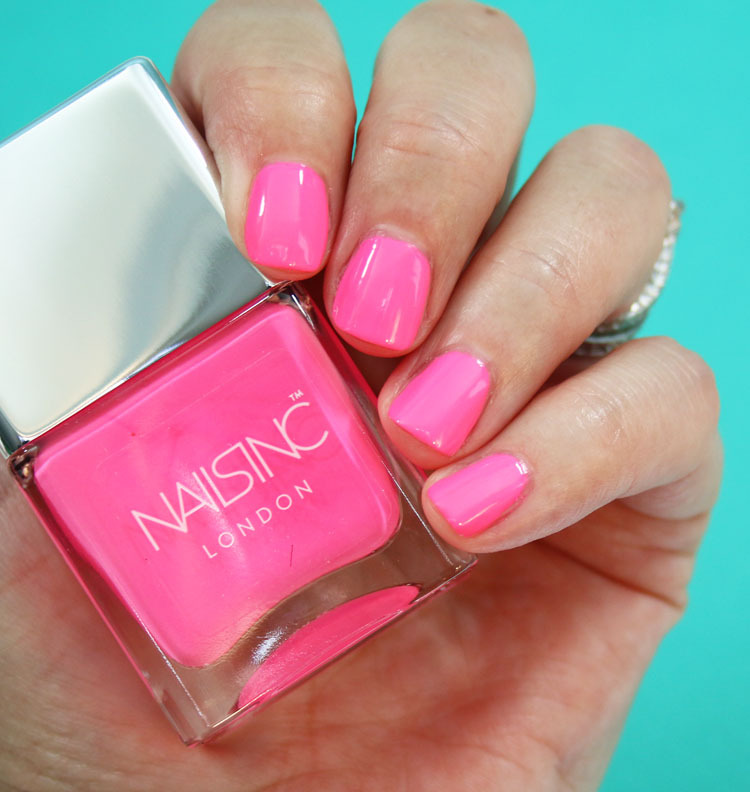 Like most true neons, it tends to dry matte, but a top coat shines it right up. Birds Before Boys is a coral-pink duochrome that has gold foil shimmer and a greenish color shift. I think both of these are really great shades, but Birds Before Boys is probably the more unique one of the two. Either way, it’s a really great set and I feel like it’s going to be pretty popular for summer! You can find the Nails inc Flock You Nail Polish Duo at Sephora, Cult Beauty and on their site now and it’s $15.00. Is Flock You a set you want to pick up? I love these! What a pretty combo. 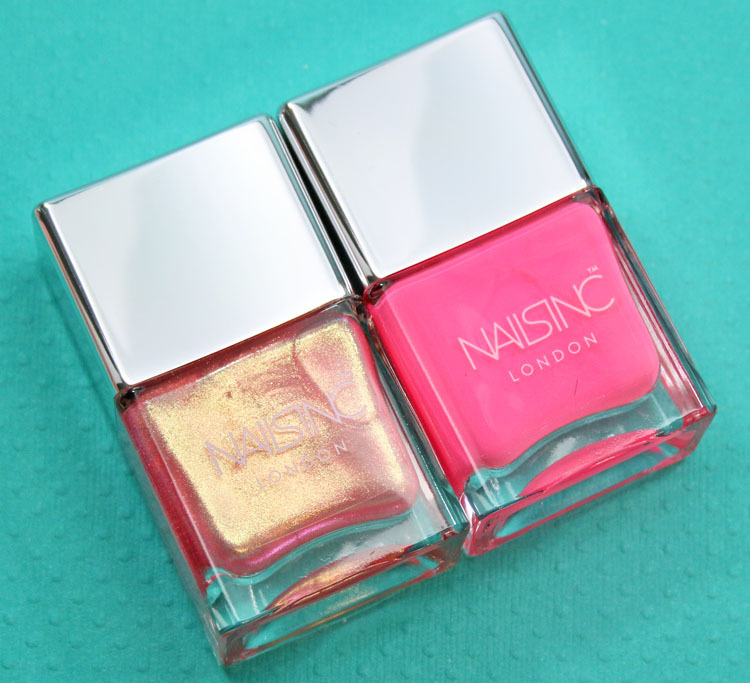 Not only are these polishes gorgeous, but so are your pictures! I love that bright teal background! I always love how well you take pictures of your swatches. I really appreciate how much work you put into them! Thank you! I am trying out some new things, glad you like it! 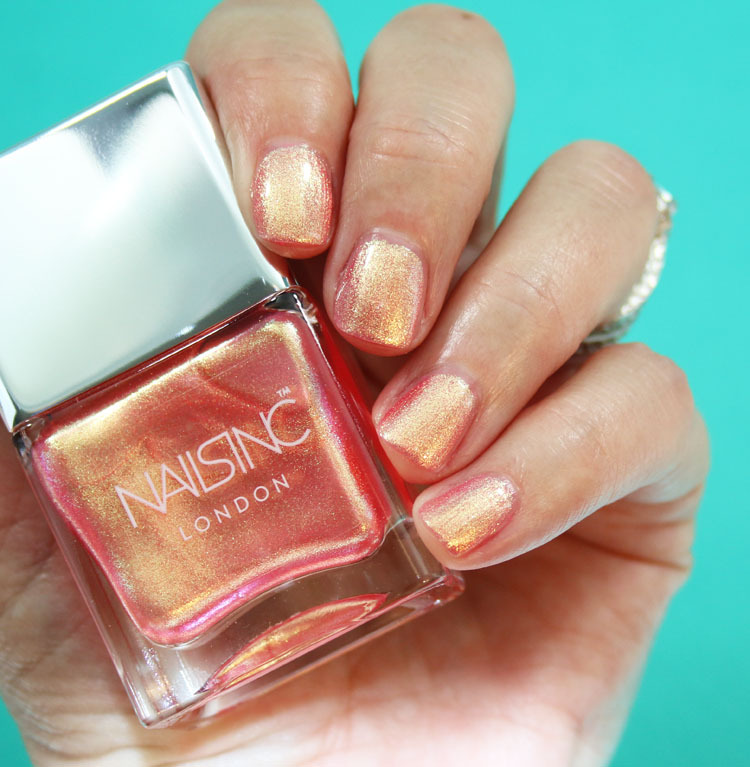 Glamingo ist the perfect colour for summer! the one I really want is the one of the fairies.. I wish they didn’t always do these as duo’s – I’m drawn to Birds Before Boys but not the other one. Beautiful swatches!